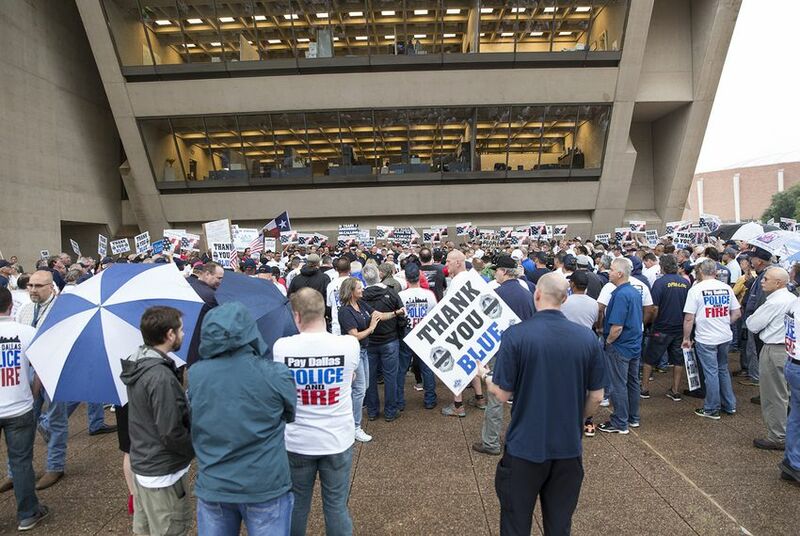 The House unanimously approved a Dallas pension bill aimed at preventing first responders' retirement fund from becoming insolvent within a decade. The pension overhaul bill that divided Dallas officials and first responders for months is now headed to Gov. Greg Abbott's desk. The Texas House on Thursday unanimously agreed with the Senate's changes to House Bill 3158. The House's Thursday vote means this legislative session's two divisive bills aimed at shoring up billions in shortfalls in the Dallas and Houston pension funds have cleared both chambers. Dallas Mayor Mike Rawlings initially opposed the bill, drawing anger from first responders, who supported the bill aimed at preventing their retirement fund from becoming insolvent within a decade. The Senate added provisions allowing the mayor to appoint a majority of pension board members, change how the city's contributions are calculated after 2024 and require super-majority votes on major changes to benefits and contributions. Rawlings and other city officials then got behind the bill.